I loved making this. It started when I came across this image of Vina talking and she looked like she was singing. Her pink gingham shirt reminded me of the purple gingham dress Laurie wears in Oklahoma! I was gladly able to change the pink to lavender using the hue/saturation key on Photoshop. Immediately I had to find a good ‘singing’ picture of Pike in the same scene, and fortunately there it was with Pike staring off in the distance. 🙂 I borrowed Gordon Macrae’s cowboy hat and scarf from this image, and it all gelled together perfectly! 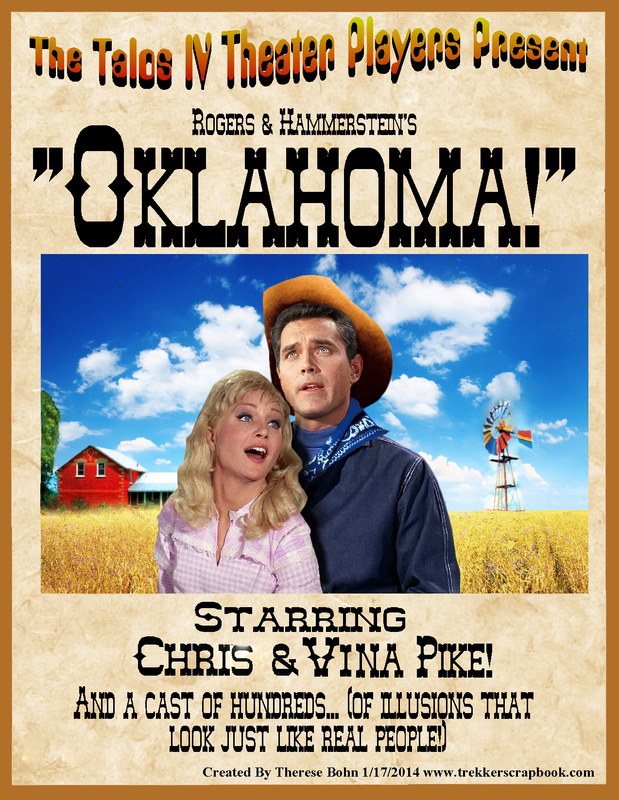 *If you’ve never seen Oklahoma!, you can read all about it here, and read this very funny review here. This entry was posted in StarTreKomics!, Toon Tuesday and tagged Curley, Laurie, Oh What a Beautiful Morning, Oklahoma! Rogers and Hammerstein, Pike, Talos IV, The Cage, Vina. Bookmark the permalink. 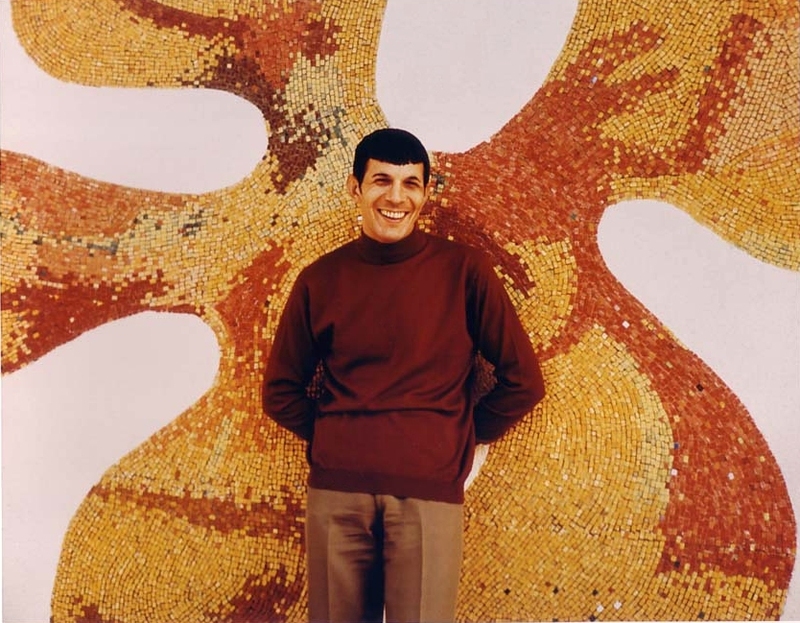 Just to check, have you seen this Nimoy pic? Your link didn’t show up here on the main page, but I did see it in my comment section; and yes, I did see that great pic of Leonard! In fact, I believe I posted it here in a previous MWS. It appears that links are not showing up here in the comment section (at least not publicly) I’ll have to check into that.